[NPR] — In Seoul, a gay pride parade 15 years in the running is at the center of heated controversy between LGBT groups and Christian activists, who threaten to do what it takes to stop the marchers. 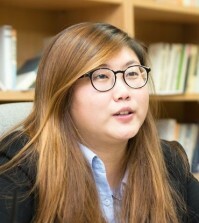 The growing visibility of South Korea’s gays and lesbians has led to louder opposition from church groups in recent years, and this weekend’s event has organizers preparing for confrontation. “In the Bible, homosexuality is sin. 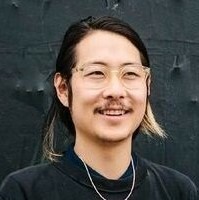 And to publicize your personal, private identity like that is a problem,” says Pastor Jonah Lee of Calvary Church in Seoul. He is part of the religious opposition to gay culture, and calls himself formerly gay — cured of 43 years of homosexuality. 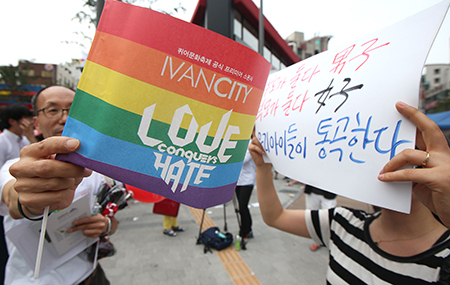 Gay rights in South Korea have become so contentious that at a pride month kickoff event earlier in June, more anti-gay protesters showed up than LGBT participants.